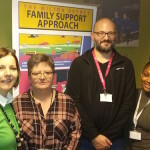 Community Care, in partnership with Unison, is exploring the issue of split shift working in the home care sector and the breaks care workers get in their jobs. Home care workers already report poor eating habits, quality of sleep and family life as a result of their working patterns. Many also spend long periods of time sitting in their cars or out in the cold weather due to gaps between visits. We are keen to find out more about the impact your working pattern has on your life. Take our survey and tell us more about the hours you work. All responses are confidential. How do we navigate people’s support needs. Many families don’t know the meaning of “off shift”, for example. How do we plan support that has “duty of care” to workers as well as those needing support? How does direct payments square with European Directives? Can an individual buy in that much flexibility and choice? or are people with support needs being more marginalised from mainstream services with the new “choices” and workers from mainstream rights?